I don’t deal with any Austrian GIS data, but this is awesome. Are there any examples of GDAL Vector drivers being written in Python? Do you think this would eventually get IDF generation support and become a GDAL driver? As far as I know, there are no GDAL drivers in Python but I could be wrong. IDF support in GDAL would certainly be a nice addition and it would be great if the local open source community could get that going. 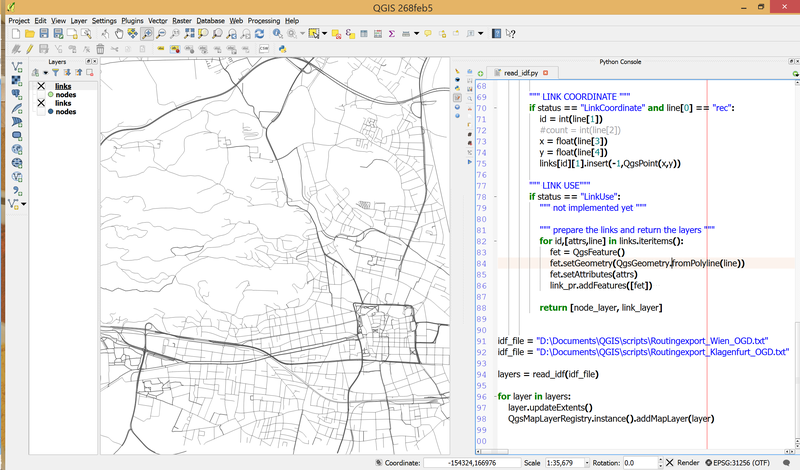 Regarding the question of GDAL drivers in Python, it is possible for GDAL raster drivers, through the GDAL API_PROXY mechanism (http://www.gdal.org/gdal_api_proxy.html), although admitedly completely undocumented and rather experimental. https://svn.osgeo.org/gdal/trunk/gdal/swig/python/samples/gdalpythonserver.py could be the base for such a driver. Doing the same for vector drivers is conceptually possible, but would require extra coding in GDAL core to serialize vector layers and features. That’s so great, thanks a lot!